Welcome to the Rescuing Jesus podcast page! and also on iTunes. These podcast were done during the George W. Bush administration and while some of the information is, therefore, somewhat dated, I do believe that they contain useful information that is still valid today. (I plan on producing updated versions of these podcasts in the near future.) I hope that you will find the information in these podcasts to be of interest and of value to you. Please feel free to contact me with your feedback. Frank Schaeffer is the son of the late Francis Schaeffer ("Francis Schaeffer, who helped politicize the Evangelicals into the Religious Right through his incendiary books such as A Christian Manifesto (1980) wherein he called for the takeover of America in the name of Christ if, need be, by force if all else failed"). Frank helped his father to organize Evangelicals into what is known as the Religious Right. 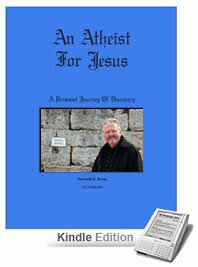 For more information, order the two book set 'Christianity Betrayed' and 'An Atheist for Jesus'. Click Here for more information. Podcasts are like small, independent radio programs. You may listen to these programs on your personal computer or download them to any portable mp3 player. If you subscribe to this podcast, you will automatically receive new episodes as they are released. If you'd like to add your two cents then please contact me via email at rescuingjesus@gmail.com (audio is more interesting, so feel free to attach an mp3 audio comment to the email.) If you don't want me to use your comment on the show then please be sure to indicate as such. Why the "Right" is Wrong! Special thanks to Mr. George Hrab for the use of his music. Hear the full songs and learn more about this talented artist on the Podsafe Music Network or on his site at Geologic Records.